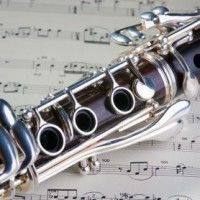 ﻿The goal of The Clarinet Academy is to provide students of all ages and levels with a well-rounded musical education by offering a variety of programs such as group lessons, chamber ensembles, clarinet choir, special topics classes, master classes, performance classes, workshops and private lessons. Students will have the opportunity to perform in studio recitals, master classes and community outreach programs. Clarinetists from all over are welcomed to explore the classes that we have available in a community-based environment. If you would like to be added to our mailing list for The Clarinet Academy’s upcoming events, concerts and class topics, please contact us today. 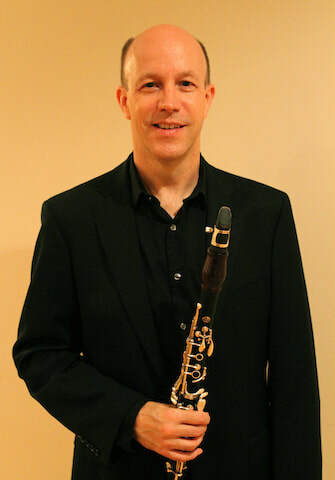 Dr. Mark Gallagher has maintained large clarinet studios for a number of years both privately and in the college setting. He has taught levels ranging from beginner, intermediate, adult amateurs, advanced, college and professionals. Dr. Gallagher's students have been among the clarinet sections of several youth orchestras and admitted into prestigious Colleges and Conservatories such as Oberlin Conservatory, Carnegie Mellon, New England Conservatory, The Peabody Institute, Indiana University and University of Illinois. ​Private Lessons are offered for 45 minutes or for 1 hour. You may pay per lesson at the listed rate, or you can sign up for a session at a discounted rate. Private Lessons are scheduled according to availability. They will be arranged through Dr. Gallagher. Lessons can start up at any time and can be pro-rated accordingly. If you sign up for an entire session, there is a $5 per lesson discount. There will be a contract for you to sign upon registration. *Payment will be in 6 installments and is due at the first lesson of the month. Group lessons are offered for no more than 4 students per class. This allows for fast improvement in a group setting. There are several classes available for various levels of playing. 45 Minute Group Lessons: $25 per session, per student. This class needs at least 2 students for the class to run. Full Winter/Spring Session: $550.00 to be payed in 6 installments of $90.00 per month. 1. Fill out and submit your application online. 2. On the application (below) please give a detailed account of your clarinet playing history. We would like to learn about your playing ability, interests, and experience.